← DisOrient 7–It’s a Wrap! 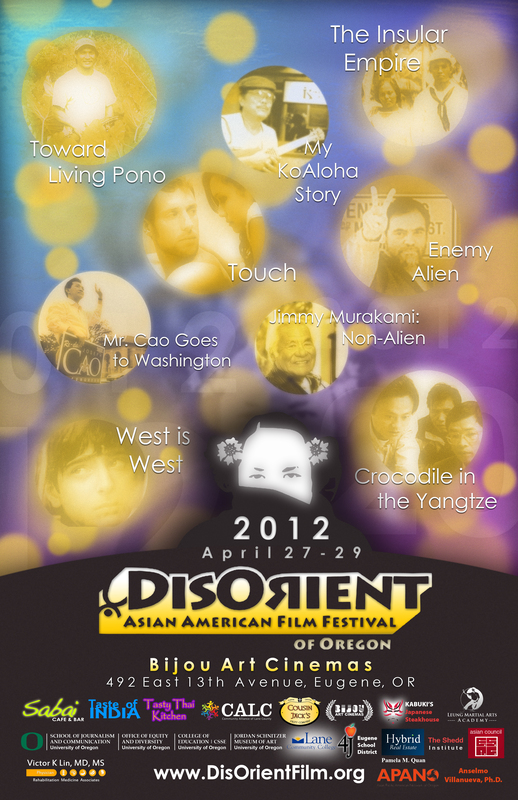 We are excited to announce the award winners for the 7th Annual DisOrient Asian American Film Festival of Oregon! The 2012 recipient of the Jason D. Mak Award for Social Justice is the moving feature documentary by Konrad Aderer for “Enemy Alien”. This film ALSO received the Pacific Asian Community Alliance Courage Award. Lastly, we honored filmmaker Leslee Udwin with the award for Best Feature Film for “West is West”. Other winners of this award include Jessica Yu’s PING PONG PLAYA and Kimberlee Bassford’s PATSY MINK: AHEAD OF THE MAJORITY. We also recognized short (& sweet) film “Love NY” with the Best Short Film. Thanks again to all the filmmakers who submitted and who came out to make our festival the uniquely incredible film experience it is! Please submit again for next year!